Werner registered as an Atlantic Sound Factory VIP on January 28th, 2006 and has been a supporter, a content contributor and a friend for almost 9 years. Bremen Market Square and Bremen Town Hall during free fair season. 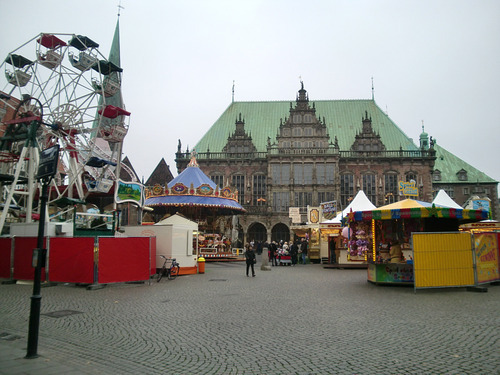 The Free Fair “Freimarkt” in Bremen, first held in 1035, is the oldest fair in Germany. With more than four million visitors each year, it is also considered to be the biggest festival in Northern Germany. It is celebrated for 17 days in the last two weeks of October, somewhat extended from Friday to Sunday. 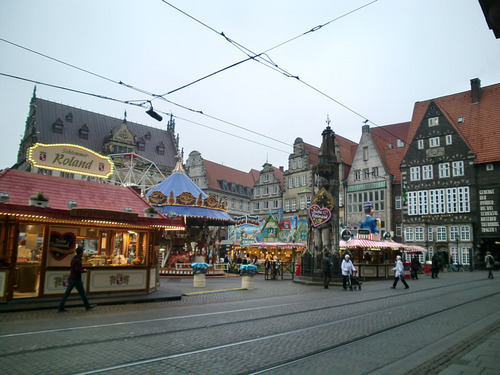 The area covers approximately 100,000 square meters on two areas: the so-called “Kleiner Freimarkt” (lit. Small Free Fair) on the market square, and the main area at the “Burgerweide” adjacent to the Main Station and the Exhibition Center. The highlight is the “Freimarktsumzug” (lit. Free Fair Procession) held on the second Saturday of the festival. Bremen Market Square with the Bremen Roland a statue of Roland. The Bremen Roland is a statue, erected in 1404. It stands in the market square (Rathausplatz) of Bremen, facing the cathedral. Roland is shown as protector of the city: his legendary sword (known in chivalric legend as Durendal) is unsheathed, and his shield is emblazoned with the two-headed Imperial eagle. 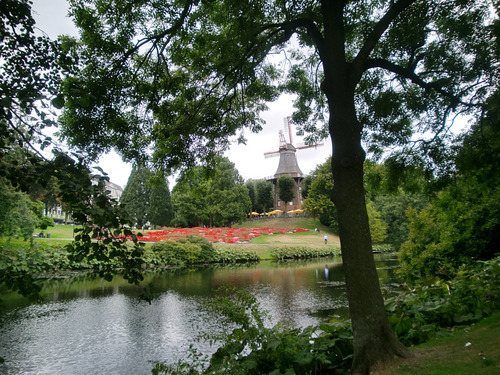 The windmill is in the middle of a city park that was constructed on the ground where the fortifications of the city once stood. Today the building is heritage listed and inside is a restaurant. Tourists may enter the building after a nominal charge every day, although in the winter it is only open in the afternoon. The Osterdeich is a long site access road and a dyke which stretches over several areas of the city. 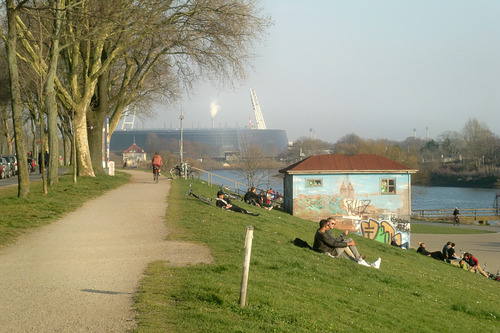 It’s a also a 3 km long promenade that goes to the football(soccer) stadium “Weserstadion”. The river “Weser” runs through the city and a lot of inland navigation vessels stop at various marinas. Up north from downtown there is a large international port. The Osterdeich is also a beautiful linear walk. On sunny days and especially in summertime a lot of people relaxing on the riverbank and do BBQ. Every year there is a free cultural event called “Breminale”.